Brand College Consulting offers private tutoring and test preparation for high school students. 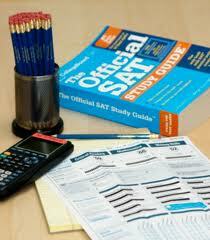 Tutors specialize in SAT and ACT test preparation, but are also available for PSAT and SAT Subject Tests. Private tutoring is provided by Jolyn Brand, a certified teacher with a Master’s degree in Education or one of a few tutors who work for Brand College Consulting. Tutoring can be provided in the client’s home or in a public space, such as the public library or a local coffee shop. For the best results, 2-3 months of tutoring is recommended. If a shorter time range is necessary, at least 2 hours a week is suggested. An individualized lesson plan and homework assignments are developed for EACH student. Contact Jolyn directly to inquire about subjects and schedules. * Rates have a 24-hour cancellation notice policy. We understand students have busy schedules, but time slots are reserved for students with an appointment. If 24 hours notice is not given for a cancellation or reschedule, the rate will still be charged. As a former teacher, I can attest to students performing better on standardized tests like the SAT or the ACT when they are fully informed of the test format, structure and feel confident going in. I suggest that students familiarize themselves with the test, including format, when to guess, how to write the essay, and when to skip questions, before the initial testing. This can be achieved through self-study, online practice, or with the help of a test prep class. Testmasters offers official College Board tests as their “practice tests” and runs about $750-$800 for a 5-6 week course. Testmasters charges $130/hour for in-home private tutoring. Princeton Review has ACT test prep courses over 10 sessions with 4 proctored practice tests, for $999- $1499 and SAT prep courses up to $1599. 3. Private tutoring is suggested for students who are either too busy for test prep courses, who need one-on-one assistance, or for students who’ve already taken a prep course and would like help before a test retake. Using the full SAT Score Report or ACT scores, we can create a personalized study plan and hone in on the student’s weaknesses or areas of concern. Please fill out the Private Tutoring Request Form to be contacted with available tutoring time slots. Want to see what our tutoring clients say about our services? Read more here. 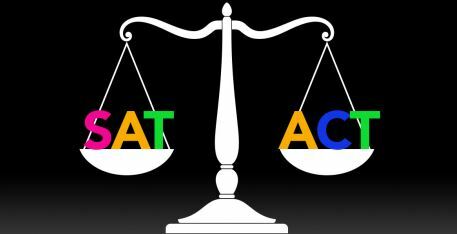 Remember that all colleges take either the SAT or the ACT so there is no need to prepare for both tests. Most students score the equivalent scores (chart on the right). Don’t know the ‘right’ path of test prep for your child? Contact us for a consultation and let an experienced professional make recommendations based on your child’s test scores, goals and study habits!